Have an idea about how to solve a problem, bring a solution to a campus effort, make student life easier, more creative, or fun? Want the chance to win up to $10,000? 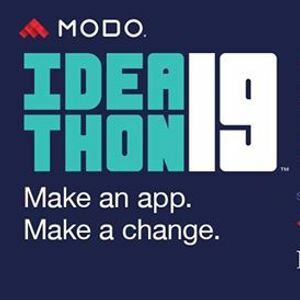 Learn how to create an app from scratch - concept to product - in less than 2 days at this year's Modo Ideathon using an app making platform called Modo! Anyone can learn to use this tool, no experience necessary! 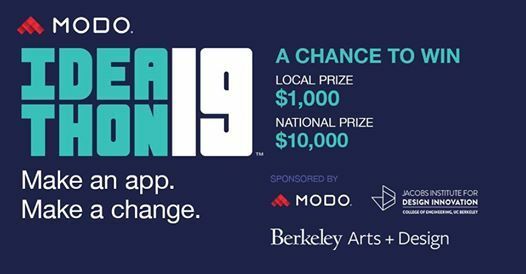 The Ideathon will be held on April 5 and 6 and offers students the chance to create and propose digital solutions to campus issues, the chance to win $1,000 at the local campus competition and to develop a project portfolio (that you will get to keep!). This is an incredible opportunity for student clubs to develop technologies to serve their mission and campus, individuals to explore an idea they'd like to see used on campus, or simply a great way to build a portfolio project. The competition is open to teams of 2-5 enrolled undergraduate and/or graduate students. Participants may not compete on more than one team. Each team must have at least one Team Member who will serve as the main contact for the team, will submit the idea, keep the team informed and will be the spokesperson on Competition Day. The competition is open to ALL students and all experience levels! Each team will be given access to training videos, a sandbox to experiment in, and the option to drop in to our training open house on April 3, two days before the start of the competition. (Please note that at least one person from your team must be present at the Ideathon during the competition hours. (i.e. some teams take turns being at the Ideathon event while others work remotely). 2019 Ideathon Theme: "The accessible campus, the creative campus, the connected campus." 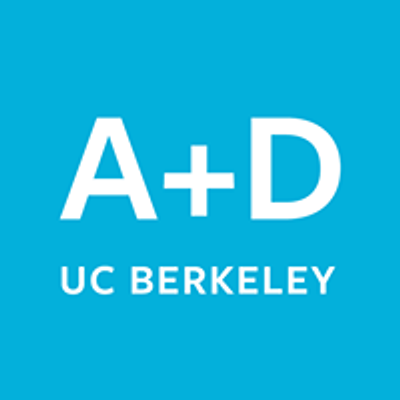 To celebrate the new campus strategic plan, which shapes all of our experiences at Cal, any idea that aligns with the plan will be considered. Discover your app's angle by reading the short summary of the campus strategic plan and address any element through your app solution. 1. Choose your team of 2-5 students and select your team leader. 2. Choose an idea for your app within the theme the accessible campus, the creative campus, the connected campus. Discover your app's angle by reading the short summary of the campus strategic plan and address any element through your app solution. Create a proposal for your idea in 250 words or less. Then submit your proposal via the application below. 3. Apply to participate in the competition here. The application will take less than 5 minutes.